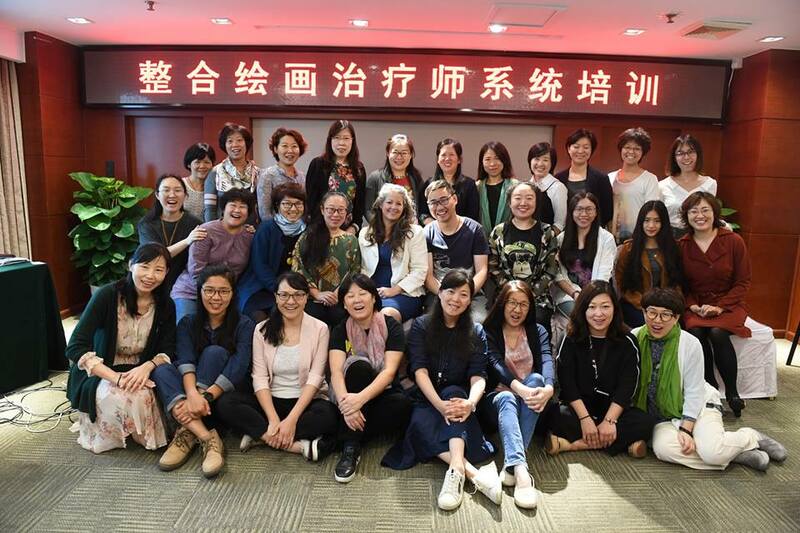 Michelle L. Dean, MA, ATR-BC, LPC, CGP and workshop participants in Beijing, China. 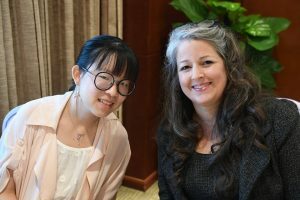 September 15 – 19, 2018 Michelle L. Dean, MA, ATR-BC, LPC, CGP, Board Certified Art Therapist, was invited to be a guest presenter in Beijing, China by representatives of China’s top-ranking University, Peking University and The China Institute of Psychology. 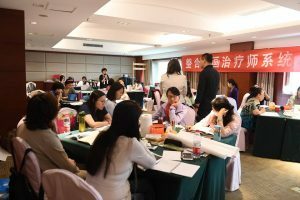 The five-day workshop provided education and training about art therapy so therapists in China may be able to provide psychological support to their clients through the arts. 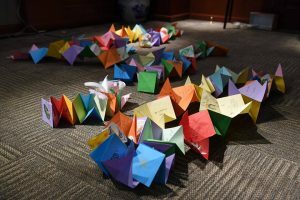 The forty participants were from Beijing and surrounding areas, including several participants from as far away as Shanghai. 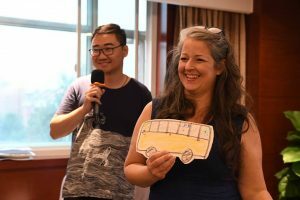 As a result of her innovative teaching methods, her original contract of instructing three levels of therapeutic arts for mental health clinicians in Beijing has been expanded to include additional speaking tours in Shenzhen as well as several other engagements in China. Jonathan, the translator, and Michelle with a departing gift from the participants. Exploring group dynamics through art.